A former American River College student was found stabbed to death on March 2 in the town of Jangpura in south Delhi, India, according to news reports. Paimana Khanjar, who was in her early 20s, had been in India visiting with her fiancé of two years, 23-year-old Omid Milad Hussain Khill, a citizen of Afghanistan. An aunt of Khanjar also reportedly lives in Jangpura. Khill was arrested in connection with the crime and taken into custody where he remains pending charges. According to media reports, he was apprehended at the airport on Sunday morning where he was about to board a plane to Afghanistan. E-mails sent to the U.S. embassy in India and the New Dehli police department did not receive immediate response. However, enrollment services at ARC confirmed that Khanjar was a former student who began her studies in the summer of 2008 and was enrolled as recently as spring 2011. Khanjar was on the wait list for a psychology class this semester but was unable to add, college officials said. Police are calling it a crime of passion. According to media reports, Khanjar was planning to break off her engagement with Khill. On Saturday night, a friend discovered Khanjar in a guesthouse, lying in a pool of blood with a kitchen knife sticking out of her stomach, according to an account reportedly given to police. When Khill turned up missing, law enforcement dispatched a task force to the Indira Ghandi International Airport to search for him. Just as he was about to board an Air India flight to Kabul, Afghanistan, New Dehli police apprehended him. 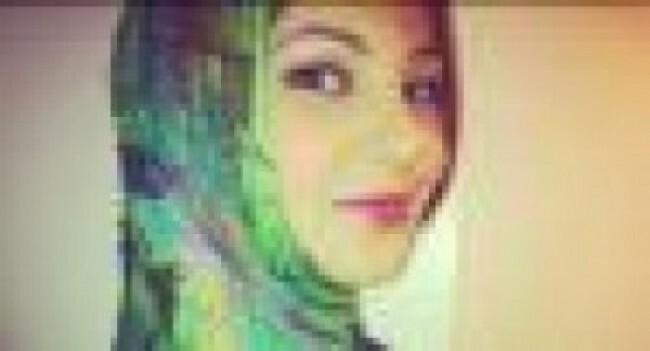 Khanjar had booked an Emirates Airlines flight home on March 7 to join her mother, sister and brother who are all residents of California, reports said. According to the Times of India, the American embassy will return Khanjar’s body to California. As news of the stabbing slowly spread across campus, many students reacted with sadness, dismay and disbelief. “I thought she was a pretty girl,” said data cabling student, Cameron Ewing, who was watching the news on television with his friends when Khanjar’s picture caught his attention. “The next thing you know, they’re talking about a crime of passion. It’s absurd what people do to each other nowadays,” said Ewing. Be the first to comment on "Former ARC student stabbed to death in India"